Apple’s latest over-the-air update for Apple TV includes several new apps that could help put the set-top box on a more level playing field compared to the competition. Chief among them is an app for Vevo Music Video which contains more than 75,000 HD music videos, exclusive original programming, live concern performances and Vevo TV, a 24/7 live stream of HD music videos that are hand-selected for viewers. The other new apps include the Disney Channel, Disney XD, the Smithsonian Channel and the Weather Channel. The two apps from Disney are long overdue considering Apple’s longstanding partnership with the company. Users will be required to provide cable provider authentication to use these apps, however, so they aren’t exactly ideal for cord-cutters. The Weather Channel app, Smithsonian app and Vevo are all available without any cable subscription package. The Weather Channel features live broadcasts during major storms, we’re told, which could be useful if you can’t receive over-the-air signals for local news broadcasts. 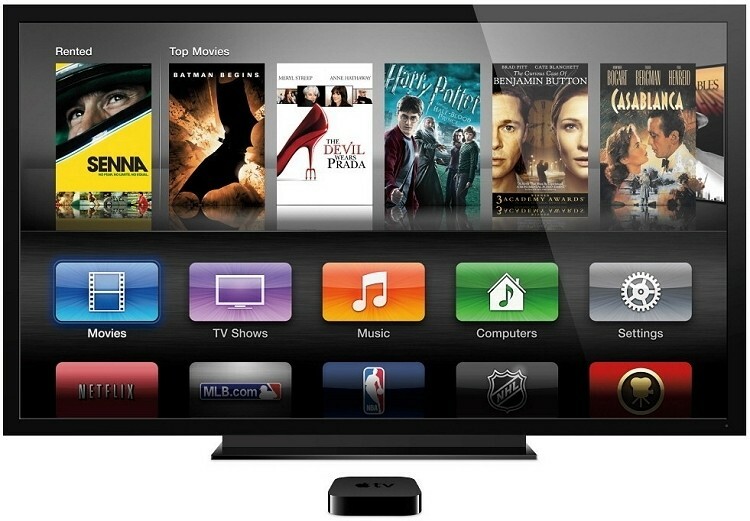 Apple added two major additions to their lineup earlier this year: HBO Go and WatchESPN. Naturally, both apps also require a separate cable subscription with select providers. HBO subscribers have unlimited access to the network’s catalog while WatchESPN can live stream five ESPN networks. Users can also watch on-demand video highlights. The free update has been pushed out live to all Apple TV users so you should be able to get in on the action the next time you boot up the machine.